Products you sell in your store may come in all shapes and sizes, even within the same order. Using a custom-built algorithm at its core, our extension helps you package the ordered goods in the most optimized way, this way, so reducing shipping costs and ramping up warehouse output. To do that, our module leverages known dimensions and weight of the products as well as those of shipping boxes. The Dimensional Shipping extension for Magento 2 is about selecting the most suitable box for a number of products in the Order. But it can bring more benefits for both entrepreneurs and their web stores than you make think at first sight. The first benefit that you get is an opportunity to select the most economically advantageous variant of shipping. When a customer makes a purchase, the extension automatically chooses a suitable box for it and calculates final weight and value. To choose the most profitable carrier, inquire some of them about the calculation of shipping costs based on the received data (final weight and value of purchases). In doing so, you have alternatives. If you want to get more pluses and not go through the hassle, you may apply integration with carriers (connect Support). Every entrepreneur always strives to reduce expenses and increase profits. One of the ways to do this is to improve the productivity of warehouse workers. For instance, packers are responsible for packing products in boxes and stuffing packing paper and vouchers in along with the purchased item. And what if the size of the box will be predetermined by the algorithm? Hence, packers, beginning to pack, will already have accurate information about which box they should choose and how many items to put in it. When packers don’t think too long about what box size they need to choose, consequently they work faster. Returns and refunds always bring a lot of plagues to your business and break out customers’ loyalty. The Dimensional Shipping extension can be a good helper for packers to eliminate mistakes. First off, because information about how to distribute purchases among boxes is in their hands and furthermore, information is accurate and final. Enter length, width and height (shipping options) for each product separately. 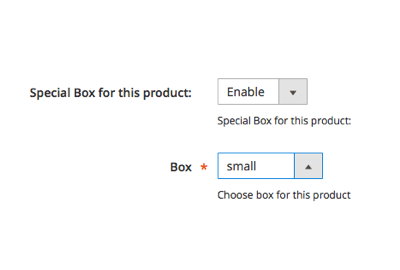 Assign a special box to a particular product manually. Add any number of shipping boxes and specify their dimensions. Check the final weight and dimensions of the box in Order. Easily override automatically chosen boxes whenever necessary. Pack each unit of a product individually or use a separate box for several items of one type of a product. Information about the most suitable box for the ordered products along with its final weight and dimensions to the Order. Even after the boxes have been assigned to the purchased products, you can easily override this selection at will. Once you have the information about the weight and dimensions of shipping boxes in Orders, that data can also be used to find the most reasonable shipping options. To do that, simply run this data by different shipping companies. To take efficiency to a whole new level, you may want to send the information you get from our extension to shipping companies and warehouses. Such integrations are one of our strongest suits, so feel free to ask for a free quote. Cutting costs by optimizing packaging? How is this even possible? 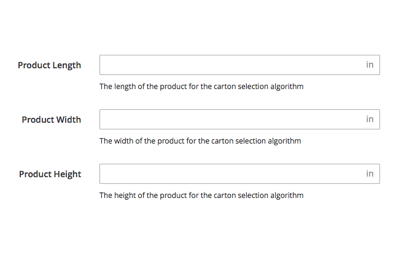 Once a customer places an order, our algorithm calculates weight and dimensions of the box (or boxes) to be filled with the products in the order. With this information on hand, you can easily compare shipping quotes from different companies and pick the most reasonable one. Efficient warehouse operations are critical to any e-commerce business. We’ve got years of first-hand experience behind our backs helping our customers enhance that part of their operations. Plus, we’ve been closely watching what e-commerce giants, such as Amazon and Zappos, do to boost efficiency. The fact is they have been using AI-powered algorithms to streamline packaging and shipping for a while now. We won’t claim that with our module your warehouse operations will be as efficient as those Amazon, but it will definitely make a difference. Routine packaging errors can be very costly, both to your bottom line and reputation. Excellent shopping experience you have put so much effort into can be easily marred by mispacked products. Dimensional Shipping won’t eliminate such errors for good, but it surely will bring them down to a minimum. With clear and precise packing instructions on hand, all your warehouse employees will have to do is follow them to the word. With your online store’s reputation at stake, there’s very little room for error. Magento 2 Browser Push Notifications plugin - Enable web push messages to share current deals with site visitors, encourage them to sign in, notify buyers about an order placement or bring back the customers who just left the website. Magento 2 Admin Permissions extension - Assign specific access rules for different admins and restrict access to certain store areas to ensure only authorized staff members can use the admin panel. Magento 2 Multi Warehouse Inventory plugin - Manage multiple warehouses and inventory simultaneously. Split your stock between various web stores and control your inventory levels in the real-time. Magento 2 Custom Registration Form plugin - Tailor the standard checkout page to your requirements by managing its fields. Create custom checkout fields and add them to your form to collect actionable information from your buyers. I want to thank Aitoc for customizing this extension specifically for or business needs. We needed integration with our shipping api, and we got it covered. Fast and high quality development service, I am happy with this purchase. Just works for me as I expected. Cool! I can definitely say that I would recommend Dimensional Shipping to any Magento merchant. 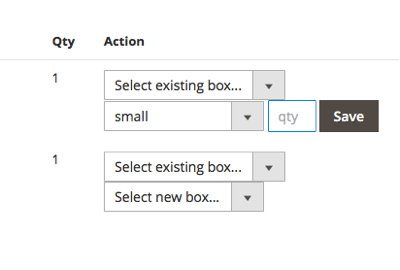 This module figures out which boxes perfectly fit products in the order and displays the total weight of each ordered item in the admin panel, including the box’s weight. Dimensional Shipping let us optimize our shipping strategy and significantly cut shipping costs. 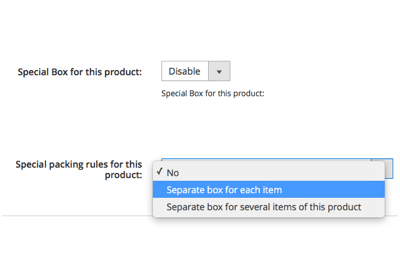 When it comes to glassware and fragile items, we use special packing rules: the module shows when to pack each product separately or use pre-defined boxes. The extension does my job for me and i love it. It picks appropriate boxes for each order so I don't need to spend time on picking the right box. This sped up my shipping process a lot, and I recommend this solutions to anyone looking for such functionality. If you have many orders or love selling goods as a grouped product, this extension is for you. Added a notification when boxes do not exist. Added compatibility with Magento Open Source 2.2.